The War on Cash Continues. 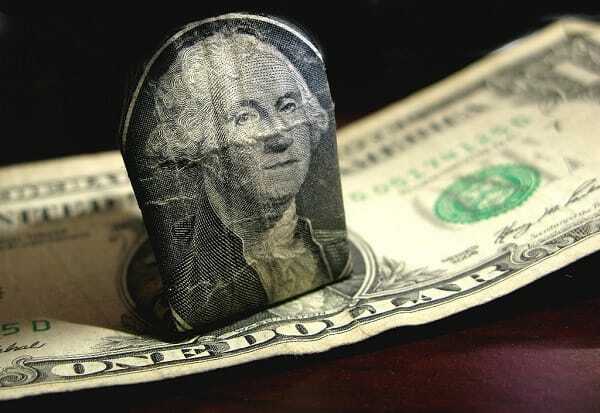 Will the $100 Bill Become a Thing of the Past? Home » The War on Cash Continues. Will the $100 Bill Become a Thing of the Past? Another day, another push for society to become cashless. What will this mean for your hard-earned savings? Read more here. The global “war on cash” is back and bigger than ever. The move towards a cashless society seems to be final destination desired by governments and central banks around the world. Remember the days when you could park your hard-earned money in the bank and earn a nice 5%-plus interest rate per year? Well, those days are all but gone! With NIRP (negative interest rate policy) now being carried out by five central banks around the world, people are being punished for holding money. Basically, if people do not spend their money, they will be forced to pay interest fees to banks for the “privilege” of storing their savings in the banks’ computer screen. Clearly, the digitization of money is well and truly underway. Think of all the bills, transactions and money transfers that can now be resolved from the comfort of your couch. And now, there seems to be a movement among authorities to move to solely digital money, and to usher in a society that is 100% cashless. Calls are currently being made in Europe to ban the 500 euro note. The usual fear tactics are being cited by European Central Bank (ECB) head Mario Draghi as to the reasons why, such as that the note is used by terrorists and money launderers, and that any potential loss of liberties surrounding physical cash is outweighed through fighting crime. That same message is being parroted by former treasury secretary Larry Summers here in the U.S., who wants the U.S. $100 bill banned. In a piece penned by Summers for the Washington Post,, the 500 euro note is referred to as the “Bin Laden”. If they can kill the $100 note, it will only be a matter of time until they go after the next “Bin Laden” note, such as the $20 bill. It’s funny how people like Summers and Draghi suddenly want to fight corruption and crime, yet do not call for the bankers involved in the 2008 financial crash or libor rigging to go to jail. So just how serious are they in wanting to fight crime, and what are their true intentions? Let that thought linger. Should we move to 100% digital currency? There is no doubt that digital money offers some amazing benefits to a public that is increasingly becoming time poor and needs things done in an instant. You also do not have to carry around large sums of money, and worry about possibly being robbed. But, while there are positives to digital money, on the other side of the “digital” coin, there are also some major pitfalls. Recently, big banks and other financial institutions have been struggling to keep up with hackers, which leads one to wonder just how safe digital money really is. Imagine you had your entire life savings stored in digital form, and then a cyber attack wiped your bank’s servers clean. You could kiss goodbye a lifetime of hard work in a matter of seconds. You are also handing over complete financial control to the banks and governments. For those of you that completely trust government and authority, you might like this. But for those of you who understand freedom and liberty, I’m sure that you can see how this power would eventually be corrupted. Just in case you think this is a far-fetched future possibility, the Governor Zhou Xiaochuan of the People’s Republic of China recently said the longer term plan is to bring in a digital currency. It’s happening right in front of us! As we experience this continued push from authorities towards digital currencies, we believe that it’s critical to be proactive by protecting yourself, and your hard-earned savings. By owning physical gold and silver, you are basically no longer playing into the hands of the central bankers and governments. When you are ready to take control, we will be here to help.